With business activities in 50 markets and 150+ currencies around the world, EVO is among the largest fully integrated merchant acquirers and payment processors in the world. We continue to evaluate possibilities to extend our global footprint. Innovative payment acceptance and value-added merchant services. 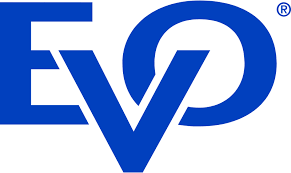 EVO is one of the world’s premier providers of secure, cost-effective, and scalable processing solutions for businesses of all types and sizes. At EVO, we make secure payment processing a seamless part of doing business worldwide. From large retailers and financial institutions to the pizza joint around the corner, our people, partners, and products bring payments to life! EVO simplifies international transacting by expertly navigating its complexities and challenges. We reduce friction, keep down costs, and mitigate risk for our many merchants and partners who rely on us for seamless cross-border payments. EVO is scaling new heights in integrated technology innovation and supportive merchant services, as well as leading the ongoing transformation in payments with EMV, integrated payments, mobile wallets, NFC, and secure omni-channel payment solutions for businesses of all types and sizes. We are united by a singular purpose: to exceed the expectations of our customers, partners, and team members by being the best global payments processing company.